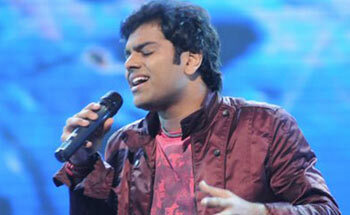 MUMBAI: Sreeram Chandra, the winner of music reality show Indian Idol 5, is geared up once again to compete with the best musical talent of the country and add another feather in his cap. The upcoming singer has participated in singing reality show ‘Jo Jeeta Wohi Superstar’ and will battle it out again for the ultimate ‘Superstar Title’. He will deliver his first performance on the song ‘Naadaan Parindey’ from the movie Rockstar. Speaking about his performance, Sreeram said, “I am extremely nervous yet excited about my first performance, especially after a song that has been recommended to me by Shaan Dada. I have done a lot of riyaaz and hope to make him proud”. The show hosted by Mandira Bedi, features 18 contestants, including six champions and 12 runner-up from other reality shows. The contestants divided in two groups ‘Challengers’ and 'Champions’ are mentored by Singer Shaan and composer Shantanu Moitra respectively. The two mentors are joined by lyricist Swanand Kirkire on the jury. The format of the show is such that the people who are already winners fight out once again to win the title. Shaan said, “This year ‘Jo Jeeta Wohi Superstar’ is going to be really thrilling in many ways. The contestants are very dynamic and in a battlefield to emerge as superstars. I am very excited about all of them, especially Sreeram as we all have huge expectations from him. I wanted him to sing ‘Naadan Parindey’ as he would render it beautifully in his velvet voice”. The episode will air on Saturday 7 April at 9 pm on Star Plus.